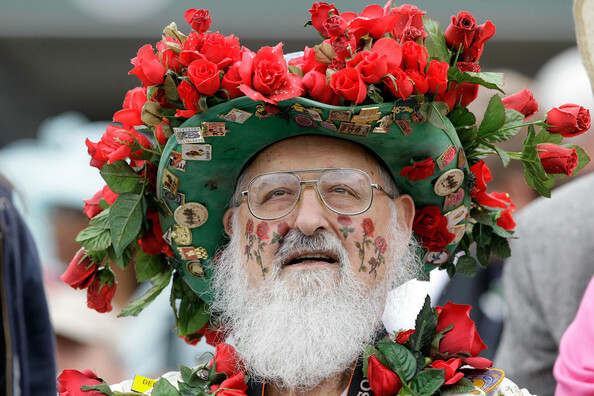 Kentucky Col. Charles M. Matasich looks on during the 137th Kentucky Derby at Churchill Downs on May 7, 2011 in Louisville, Kentucky. Surely those rose tatoos on his face are temporaries...Surely? 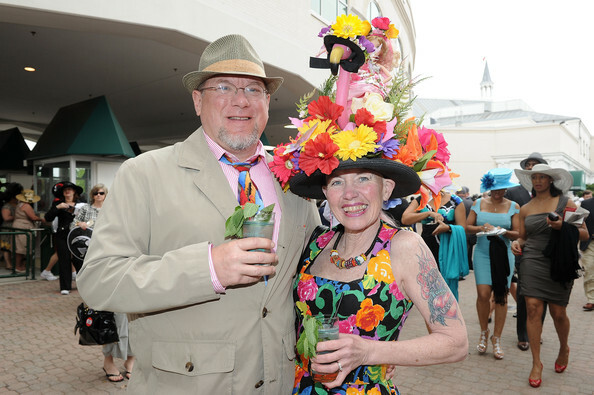 Scott and Jan Baty pose for a photo in the paddock area during the 137th Kentucky Derby.